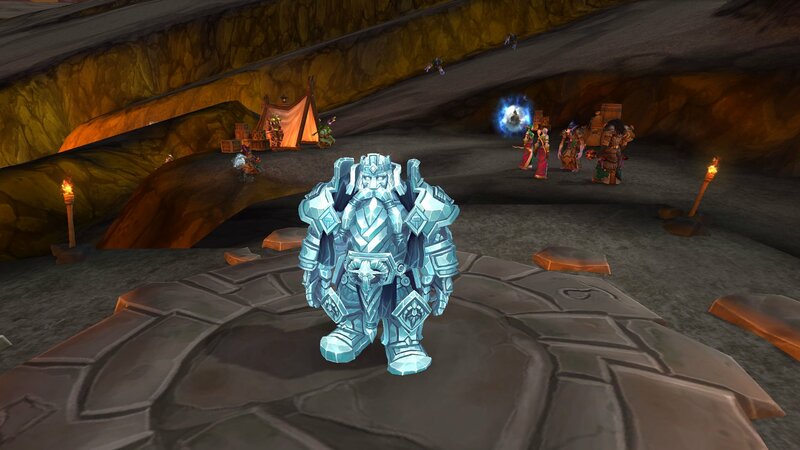 Magni Bronzebeard is located near Sargeras's sword in Silithus. There is a portal directly too him in your faction hub. You'll need to complete 4 x Champions of Azeroth quests while the Champions of Azeroth emissary quest is active to receive a bonus reward. 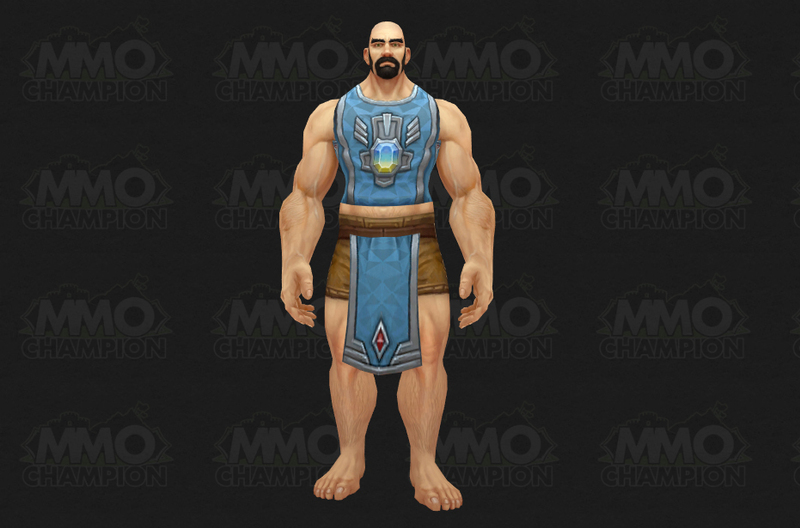 Upon reaching exalted with the Champions of Azeroth, you can purchase Champions of Azeroth Tabard for 10 gold at Magni Bronzebeard. Notable items include item level 355 Azerite Armor pieces at exalted and the Drop of Azerite pet. The main source of reputation for the Champions of Azeroth is from Champions of Azeroth world quests. We have a list of quests that reward Champions of Azeroth reputation. Champions of Azeroth world quests pop up in all the new zones and involve collecting Azerite from different sources. Completing these quests will grant you reputation with the Champions of Azeroth upon completion. To unlock world quests you must reach Level 120 and complete the quest Uniting Kul Tiras (A) or Uniting Zandalar (H). This means that you must also have completed the War Campaign quests up this point, which involves doing all three war campaign foothold quests in the zones on the opposite continent. Upon reaching Friendly scribes can create Contract: Champions of Azeroth for purchase on the auction house which allows you to receive reputation for the Champions of Azeroth upon completing world quests in any of the Battle for Azeroth zones. Much like in Legion, emissaries will offer players rewards for completing world quests for their faction. The Champions of Azeroth faction has an emissary and when the emissary is up, you can complete 4 Azerite world quests within 3 days to receive 1,500 reputation and an emissary cache. Much like in Legion, your mission table can periodically have missions that reward reputation with certain factions, including the Champions of Azeroth.